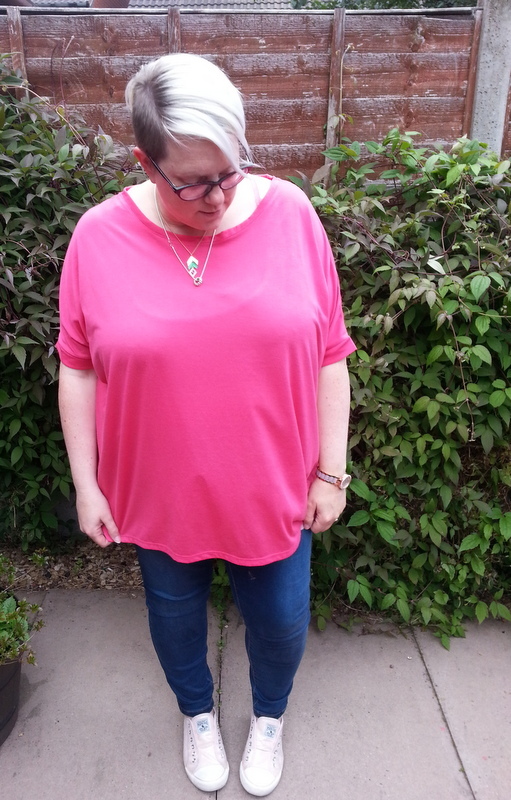 It's time for day five of Outfit August (sadly day four just didn't happen as work was busy and I just flopped in a heap when I got home!). I am lucky that the dress code for where I work is not at all strict but most of the time I choose to wear a nice dress but this morning mid week tiredness just took over so I grabbed my jeans! 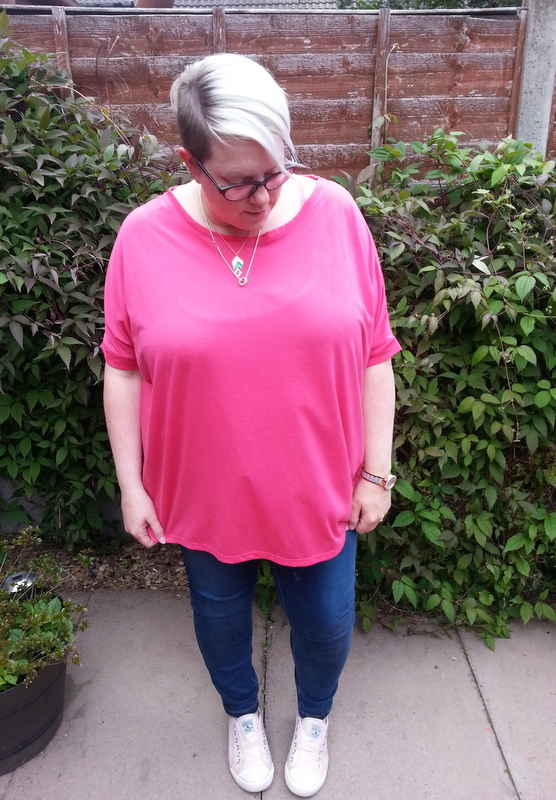 This was my comfy and casual look for today which comprises of an old H&M top, Evans Superskinny jeans and New Look Trainers! I still love these Evans jeans I think they may just be the most perfect jeans ever and if you haven't bagged a pair then you really need to! 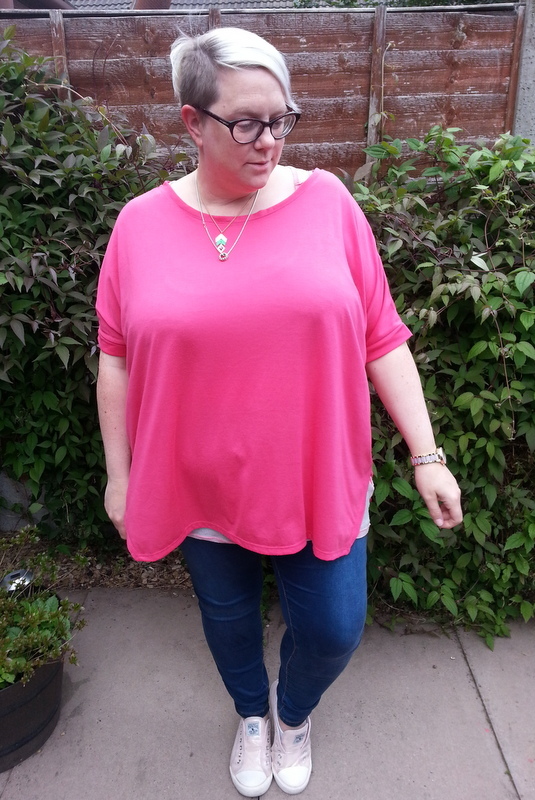 The top is from the main range in H&M so it just goes to show its always worth a look as I find some of their pieces to be quite generous in fit depending on the cut.